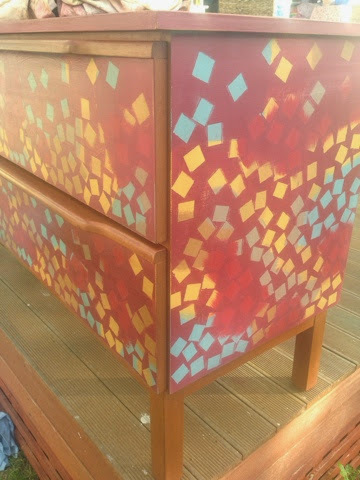 Drip Designs Furniture: Geometric red sideboard - my latest Painter in Residence piece! 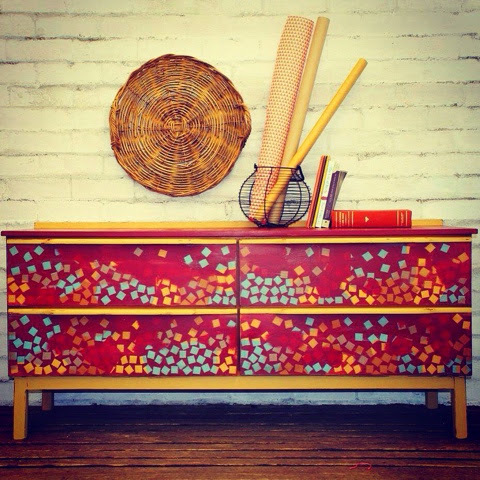 Geometric red sideboard - my latest Painter in Residence piece! 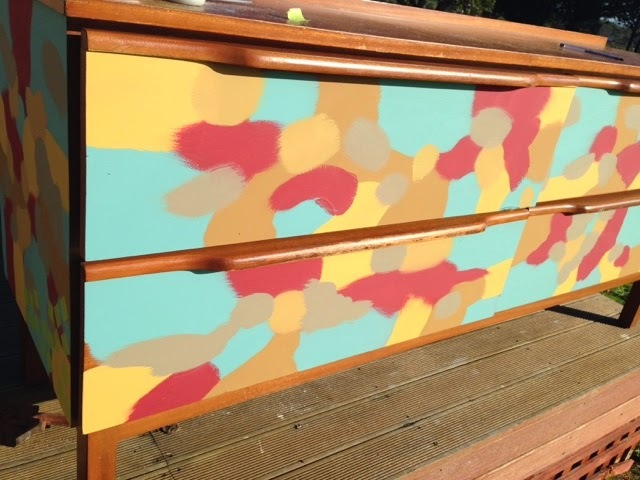 It seems like so long ago that I was transforming this dowdy old brown sideboard into this explosion of colour and pattern! I know I was well wrapped up for winter and this week here in Western Australia has been really HOT. Yuk. It was the easiest pattern to make. After choosing my colour palette, I literally made spoldges of the Chalk Paint on the piece, then used masses of small square pieces of tape in random places to create this pretty effect once they were peeled off. 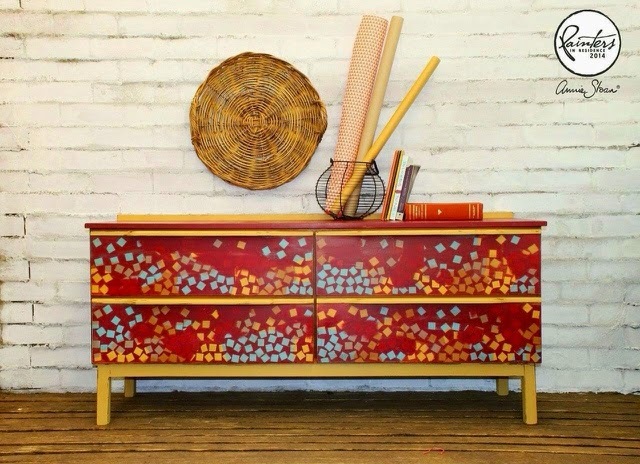 Wow very beautiful furniture designs. Thanks for sharing such a great information. Water / spill protection for hardwood floors? 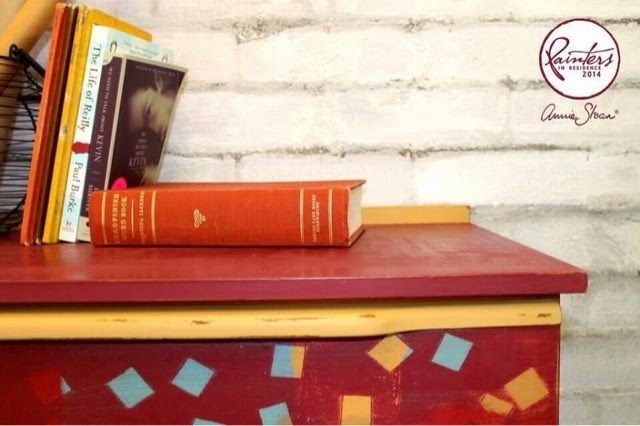 I think handmade furniture is awesome and very elegant. Amazing post. Design are awesome. Very nice and beautiful post.. Very Informative! This blog is great source of information..
Online furniture shopping has too many advantages over physical shopping. You can explore your favorite product without moving here and there. I like your blog it's really cool and nice thank you for sharing this great information about the wood floor. I enjoyed watching your post. I enjoyed yo work and designs, you really are very intuitive. These are awesome designs i ever seen n my life. This is something really worthy, please share some words on office chairs in karachi & office furniture in karachi. Thanks!